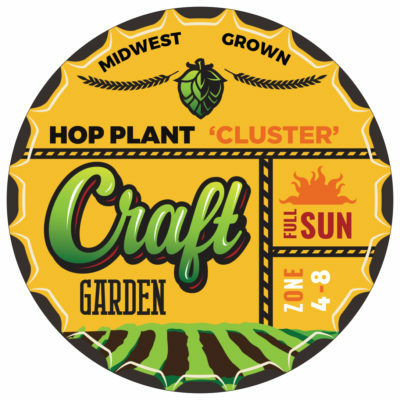 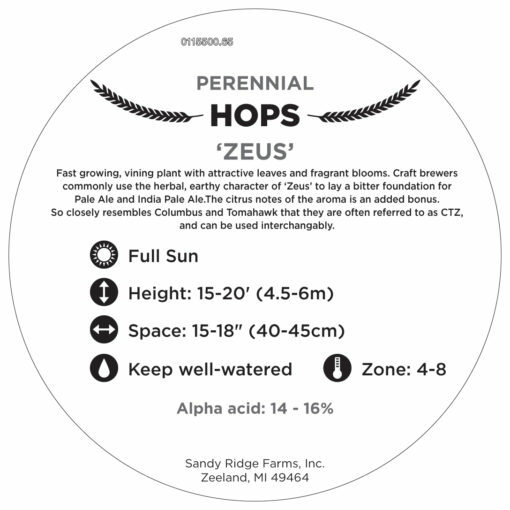 Zeus is a great dual purpose hop making it ideal for laying the bitter foundation for beers such as Pale Ales, India Pale Ales, Stouts, and anything Imperial and is commonly used for late-boil or dry hopping for its herbal, earthy character. 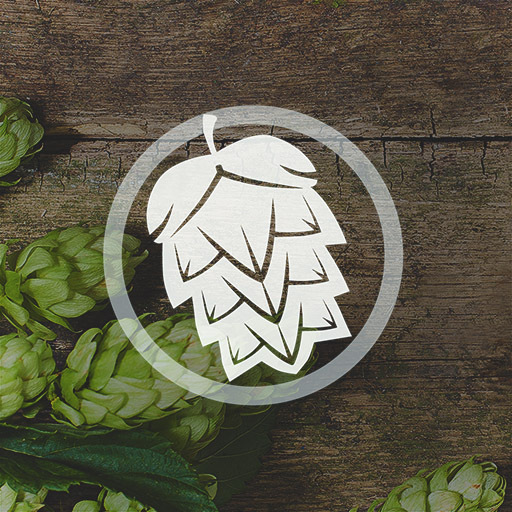 The aroma is pleasing and citrus notes may be found in fresh batches. 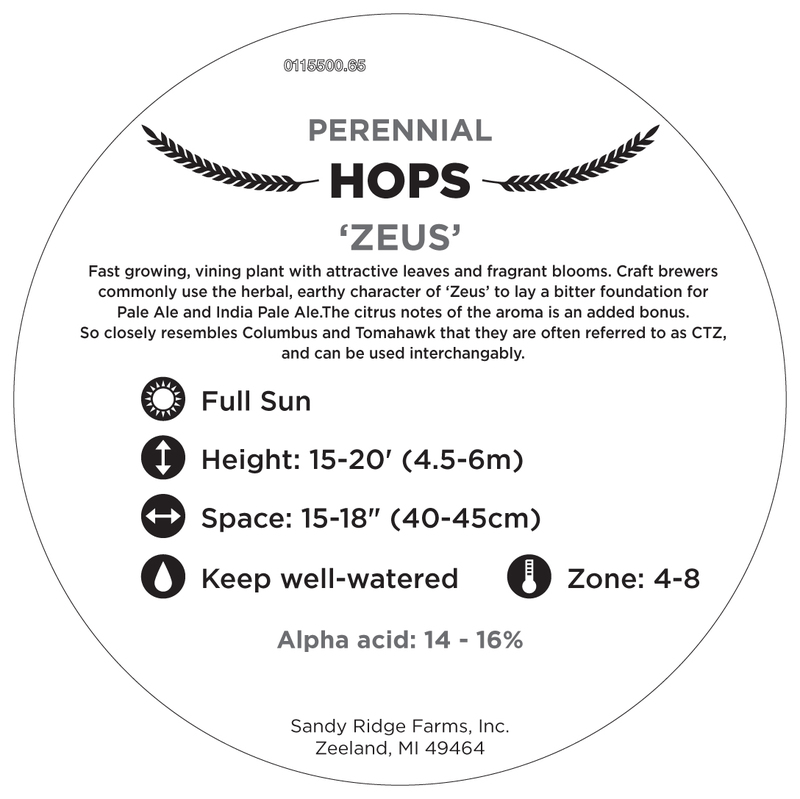 Zeus is so similar to Columbus/Tomahawk that it is often lumped into the name as CTZ.